If any other night owls like to read before bed, you should get the low down on free Library downloads when the Digital Bookmobile stops by Central Library on Wednesday, Sept. 29, from 1 to 7 p.m. The 75-foot, 18-wheel Digital Bookmobile will have a host of experts on board ready to take you through the entire download process. Arlington Public Library offers a large and growing collection of text-based eBooks and digital audiobooks - all available for free with your library card, and downloadable 24/7 through the Library's website. The Digital Bookmobile will be parked in Central's east side parking lot, close to 10th Street, on 1015 N. Quincy St.
Nightstars, a locally produced feature length movie, is premiering at Landmark E Street Cinema in DC next Monday October 4th. I'm always interested in local independent productions like this, but I'm doubly excited because I got to be an extra in this film! This original drama is set in the Northern Virginia suburbs and teaches its audience that "it’s the small moments that can come to mean everything." The premier is open to the general public at the trendy and cultured E Street Cinema, a place were I've watched a few foreign flicks like OSS 117 and Run Lola Run. Come down to the theatre, which is conveniently about one block south of Metro Center off of the Orange Line, Monday around 7pm to get a seat. Boccato Gelato has updated their interior, but don't worry they still have all the fun and delicious flavors available. 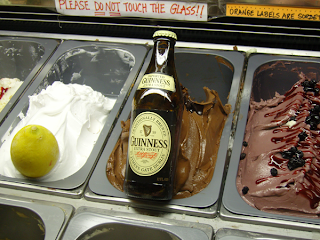 The Chocolate Guinness offering caught my eye tonight, but my favorite is still "Cookie Monster". Boccato is a great little spot for the family, a casual date stop, or a late night treat as they are open until 11:30 on Friday and Saturday. In other related news, I can't find the store's twitter feed anymore. But they still have a Facebook page at least. After several months being closed for renovations, one of the cornerstones of local nightlife Clarendon Grill has reopened. 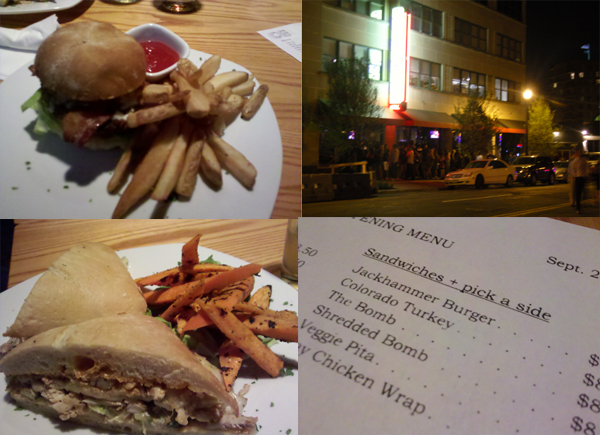 I checked out their updated interior and improved menu on Thursday night. The bacon Jackhammer burger was delicious, and so was the spicy "Bomb" sandwich shown here with carrot slices instead of fries. The interior was as loud as ever, and hard to carry a conversation. It would probably be easier to talk at the new "bump outs" at the bar, where the angles allow patrons to face each other slightly. Tonight was the first weekend evening for the new grill, and there was quite a line later in the night to get in, although not any longer than Spider Kelly's or the Ballroom regularly have. Tonight Full Effect is playing, and Saturday night the well known local cover band Gonzo's Nose will christen the stage. Looking forward to the annual Clarendon Day festival this Saturday, September 25. Should be a good sunny day for all of the vendors, arts and crafts sellers, live music, restaurant tastings and evening parade. Make sure you drop by Wilson Blvd (which will be closed to cars during the event) for this family friendly community event. Hoping to visit my favorite music venue Iota Club and Cafe this Friday the 24th for Memphis 59 returning to Clarendon. Local talent the Brother Shamus are also playing, with the Walkaways are the headliner. Show starts at 9pm with a $12 cover. Drop by Revolution Cycles on Wilson Blvd this Wednesday to participate in Car Free Day. Sadly, this does not mean they are giving away a free car like I thought at first. But they are raffling off a free Trek bike and a $100 gift card to Morton's Steakhouse! It continues tomorrow, Thursday, in Rossyln at Wilson and Oak street. After being too hungry to wait in the long line for a table at Fireworks Pizza, I decided to try out the vegan Italian Toscana Grill down the block in Courthouse. Tucked away in the same complex as the AMC Courthouse movie theater and Velocity Five, Toscana is a hidden jem for Arlington. Its' modern decor and outdoor seating was a welcome sight for my rumbling stomach. Most of the menu items were vegan, organic, or gluten-free. I tried the "Make-Your-Own-Pasta" offering with Gnocchi in marinara sauce and spinach, tomatoes and sausage. 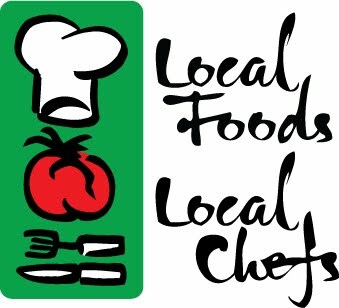 The meal was delicious and I look forward to dining at Toscana again. Photo credit to Shenanadoah Vegan, also check out their detailed review of Toscana. Tonight after 6:15 Arlington Cinema Drafthouse is hosting their weekly Wine Night at the Movies. Wine tastes are $1 for each 1oz poured by Washington Wine Academy experts. Stay for light dinner or the $5.50 movies, which are Knight and Day and Grown Ups tonight. 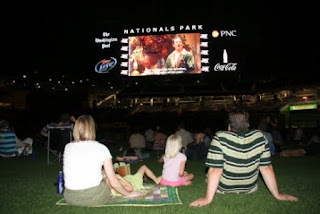 The Nationals ballpark isn't just home to baseball games, as on Sunday September 19 there will be a free outdoor showing ot the opera A Masked Ball. The Opera in the Outfield event is hosted by the Washington National Opera and last year attracted 19,000 people to the stadium. The night will also feature their Generation O program. By signing up for this free program, young professionals between the ages of 18 and 35 will receive an exclusive invite to the Red Porch lounge at Nationals Stadium on the night of the simulcast. Enjoy a beer and an opera in the same night! Thanks Amanda for the tip!